According to the most elementary definition, Customhouse Brokers are individuals, an association, corporation, or partnerships, licensed by the customs authorities to facilitate the entry or clearance of imported goods and commodities via customs. The broker represents an exporter or the importer and submit papers on behalf of their clients to the Customs agency and charge a fee for the provided service. Businesses today contemplate time as the most valuable asset and shipping goods and commodities is innate to many business practices. One of the most common concerns with the freight is the delay with clearance. When the shipment is stuck in another country, the experience becomes more than agonizing. In scenarios concerning international freight, businesses cannot afford losing time and effort, and this is when Customhouse brokers become relevant. The tons of paperwork is done by the brokers themselves and thereby reduces the pressure on the clients by a considerable level. This is one of the most vital reasons for the pertinence of Customhouse Brokers. What makes the Customhouse Brokers the modern-day saviors? Countries like the United States, UK and Canada, are the frontrunners when it comes to hiring Customhouse Brokers. The import and export involve scads of paperwork for the final clearance. Submitting necessary and relevant documents as well as the transaction records, destination, routines, classification and bracket documentation is to be provided by the importers or exporters for seamless transportation. In case strict international trade and shipment policies pertaining to different countries, a single corrupt/incomplete document can get a cardinal shipment stuck. Most of the times, the entire process becomes more chaotic and resource-consuming. The brokers play the significant part by clubbing the documents and submitting them on behalf of the client. The employment of customhouse brokers reduces the costs significantly and also provide crucial insights about new markets and the ever-changing laws. With the surge in technological advances, this genre of service has also felt the tides of change. 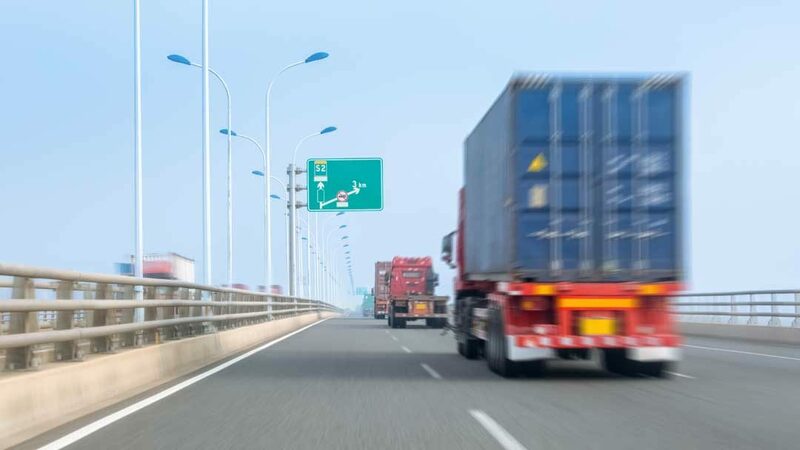 By utilizing the affirmative prospect of growing internet connectivity, customhouse brokers have widened their horizons towards the e-customs clearance. Customhouse brokers have in-depth knowledge in customs proceedings and are capable readying documents for quick clearance. On time deliveries have a positive impact on the customer base and will eventually lead positive response in favor of the business. The evaluation of products and other commodities for compliance with the regulations. Generation of the electronic entry for goods if necessary. Registration of the shipment goods with the authorities. Quick verification of the mandatory documents and required follow-up. Maintenance of receipts for the client and many other things. Vital to the supply chain management, the customhouse brokers are part of the business practices in many countries. Countries with more tough regulations come up with many challenges time to time. Export to Mexico, for example, is becoming more and more difficult with onerous documentation procedures. Mexican inward manifesto, entry summary document and other related documents need to be processed by Mexican customs brokers only. Businesses are preferring customhouse brokers with easy access to almost every country to ensure that the process stays productive without any bedlam. How to choose the best customhouse broker for the business? The evaluation of your ideal customhouse broker partner depends upon a whole lot of things. First and foremost, the reputation and conduct of customers say it all. To make an informed decision about choosing your broker is to thoroughly analyze the processes and outcomes undertaken by them. The market is full of custom house brokers and businesses need to evaluate to ensure a tailored fit solution. The evaluation of these brokers is done according to the knowledge base, commitment to a customer, the know-how of regulations, access to countries and much more. Always choose a customhouse broker with experience in your niche and industry. Make sure that the broker is experienced with products and governments so that the experience saves your time and prevents a headache. A customhouse broker with the positive response is the one for you. Do thorough research and choose your dedicated broker by confirming the reputation and client testimonials. This might sound time-consuming, but it will save a lot of time and cost in the future. Go for a customhouse broker with an approved in-house customs declaration system. Make sure they possess enough technology to ensure a smooth link to Client’s ERP for seamless document transfer. Customhouse brokers are staying ahead with email notifications and are also providing the warehouse information via the internet. This is the kind of a partner you should go for. While evaluating, make sure you opt for a customhouse broker who works around your volume. If you are into a large volume setup, your customhouse has to be in accordance to that. Most importantly, before opting for a particular customhouse broker, confirm about the access to countries. For example, in case of export into Mexico, you might want to confirm status in advance of no surprises later. Compare a few options from the market and evaluate on the basis of pricing, resources, etc. Customhouse brokers are coming up with comprehensive solutions to logistics and transportation problems as well. With coordinated transport setup, these brokers are adept with the inventory control systems and other distribution services. Bonded Warehouse FTZ can be an important decisive factor while choosing. These Foreign trade zone warehouses add up to the benefits to all the import and export needs of the client including the cost reduction on the imports by delaying the custom duty payments until the shipment is needed. Customhouses are now equipped to conduct overnight freight operations, and business can cater to fast shipment needs with this option. A little patience and lot of communication can pave the way to more successful customhouse broker relationship that will go a long way. All the reasons to opt for Pedraza Customhouse Brokers Inc.
We are a reliable, accurate and cost-effective solution for all the import and export needs. We customhouse broker checks with all the vital requirements and are emerging as the best solution provider. The discussed services including the worldwide transportation, logistics, distribution, bonded warehouse FTZ makes Pedraza the ultimate solution for businesses across the world.